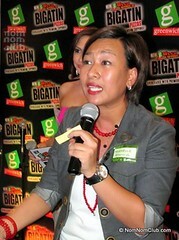 Bigatin returns! Fresh from celebrating, International Friendship Day last month, Greenwich introduces their 2 newest Overloaded Bigatin Pizzas—the Hungarian Sausage & Bacon Overload and Shrimp & Garlic Overload. 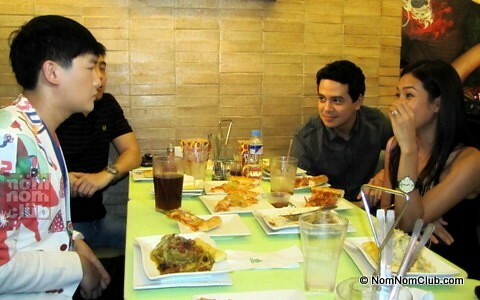 And of course, it was celebrated with the Greenwich barkada — Mika Lagdameo, Tim Yap and, John Lloyd Cruz. Smart Gilas players and Greenwich barkada Chris Tiu, Dylan Ababou, JR Cawaling and JV Casio were out of the country then. For the shrimp lover, the Shrimp & Garlic Overload is for you. It has a generous servings 1/3 pound of grilled shrimp, roasted garlic, onions and green bell peppers — atop a bed of mozzarella and cheddar cheeses. Everyone enjoyed the delicious new pizza flavors in 18-inch bigatin size. No! I'm the one on the right! Nomnomnom…can’t wait to have another round of Hungarian Sausage & Bacon Overload pizza! 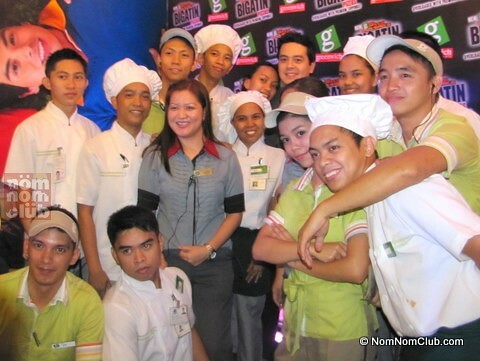 Enjoy Greenwich’s bigatin pizzas with your bigatin friends! 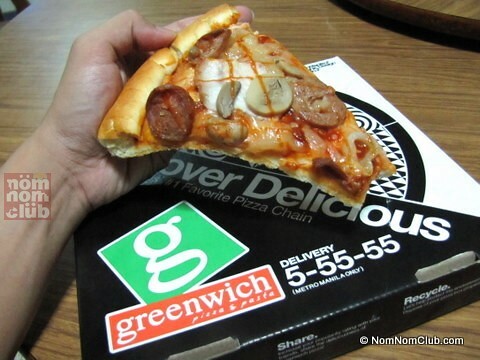 Visit the nearest Greenwich Pizza store or call 5-55-55 for delivery. Oh wow! 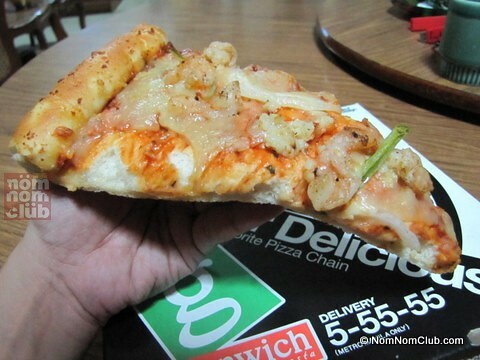 The pizzas look so yummy and filling! 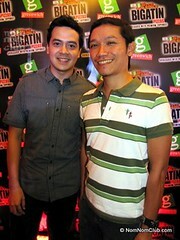 pati na si John Lloyd, hahaha! can’t wait to try the pizzas.